Keeping in mind the school motto, “Centred in Christ” Saint John’s College Under-18 rugby team sang praises to God despite falling short in their Coke Zero Deans Trophy campaign. St John’s College principal Father Ekuasi Manu said the Cawaci based- school from Ovalau came in high spirits despite being tagged as underdogs. 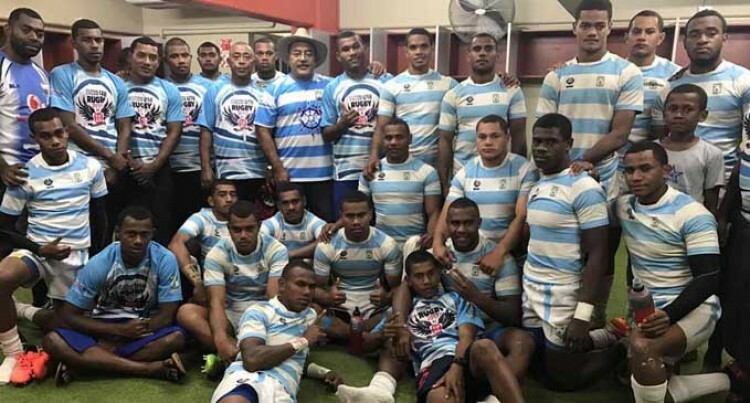 “We werethe most aspiring side in this year’s Fiji Secondary Schools Rugby Union competition,” said Father Manu. Saint John’s came third in the Eastern Zone and qualified for the Deans Trophy playoffs. They beat Southern Zone champions Nasinu Secondary School 22-6 in the main quarterfinals and won the hearts of the fans with their running rugby. Last Saturday, they held the upper hand for most part of the match against defending champions and favourites Queen Victoria School. They lost the game right on fulltime when Queen Victoria converted a penalty to escape with a 15-13 win at the ANZ Stadium in Suva. “It was a very heart-breaking moment for the Cawaci boys and supporters,” he said. Fr Manu who was the principal of the school for the past nine years said, this is the first time the team have reached this far in the competition, which is a great achievement for the school. “If there was a school that sacrificed more for this competition, it will be Saint John’s College. “So, looking back at last year after Cyclone Winston stroked the country most all affected schools closed down and even QVS was completely destroyed. The island of Ovalau was one of the worst hit areas. Father Manu said the semifinalclash against QVS was a learning experience for the boys and also for them to stand tall and don’t give up as they will now go back and prepare themselves again for next year. “I know the boys were disheartened after the game as they had high hopes but I told them they are role models for the younger grades that will be representing the school in the future. “Personally, I know these players have the capabilities in them to excel in their individual sporting career since I had moulded them during my time as principal for the school. “Regardless of the result from the semifinal, I am proud of the boy’s performance and coming this far into the competition is a milestone achievement for the school. Meanwhile, the school will be dedicating their rugby achievement to the commemoration of the 120 years of the Saint John’s the Baptist Chapel in Ovalau.